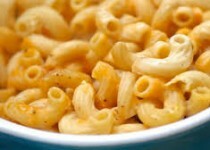 The "twist' in this recipe is the fresh smoked Ontario garlic blend. Cayenne Pepper - 1/2 tsp. Smoked Garlic Seasoning - 1/2 tsp. 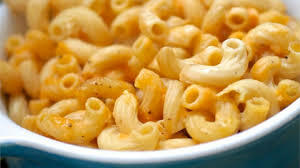 Cook macaroni according to package, omitting salt. Meanwhile heat butter in medium saucepan on medium-high heat. Add garlic and cook 1 minute. Stir in flour and gradually add milk, cook on medium heat 3 to 5 minutes or until thickened. Add Romano cheese, cayenne and smoked garlic seasoning; stir until blended. Stir in pasta and mix well. Spoon into 13x9-inch baking dish. Sprinkle with remaining cheese. Bake 25 minutes, or until pasta is bubbly and golden.